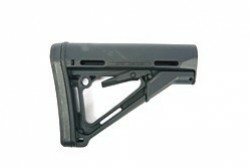 The CTR is designed to be a drop in replacement carbine stock body. This is the stock only. Adjustable for length of pull. This stock features a unique locking mech that friction locks the stock to the buffer tube for zero movement.